LIC is a Queens waterfront neighborhood located along the East River and is one subway stop way from Manhattan. LIC is one of New York’s hottest up-and-coming neighborhoods. It has become a haven for start-ups, waterfront parks, boutique hotels, art and cultural institutions, and trendy restaurants. According to CNBC, Long Island City is considered one of the hottest spots for young people to live in. In 2017, LIC was named the country’s fastest growing neighborhood by New York Magazine. LIC is already filled with condos, and rental prices are highly above Queens’ median prices. In the weeks following the Amazon HQ2 announcement, the demand for real estate in Long Island City surged even more dramatically. An LIC brokerage firm sold 150 units in just four days, The Wall Street Journal reported. Owners of office buildings, apartments, industrial space, and strip malls have all experienced their assets doubling in prices since 2010, higher than the 66% average increase in the 50 largest cities, The Journal reported. Real estate firm Douglas Elliman predicts that Long Island City’s rental market will also see a boost in the short term, due in part to an influx of tech startups that Amazon may attract to the neighborhood. Prices of homes will also continue their gradual increase. When looking at the impact Amazon had on Seattle, home values spiked and the median home value increased dramatically by 73 percent to $739,600 over the course of the past five years, according to Zillow. A similar effect can be predicted for the two new HQ2 locations. Essentially, Amazon has made the already popular neighborhood of LIC a principal location to invest in property. Real estate brokers said that buyers are already in a feeding frenzy, according to the New York Post. In light of the Amazon HQ2 announcement, Long Island City has shifted from a buyer’s to seller’s market. Whether you support or oppose Amazon HQ2, there’s no denying that Long Island City- an already thriving real estate market- is about to experience an even greater boost accompanied with job growth, transportation, and rising real estate costs. 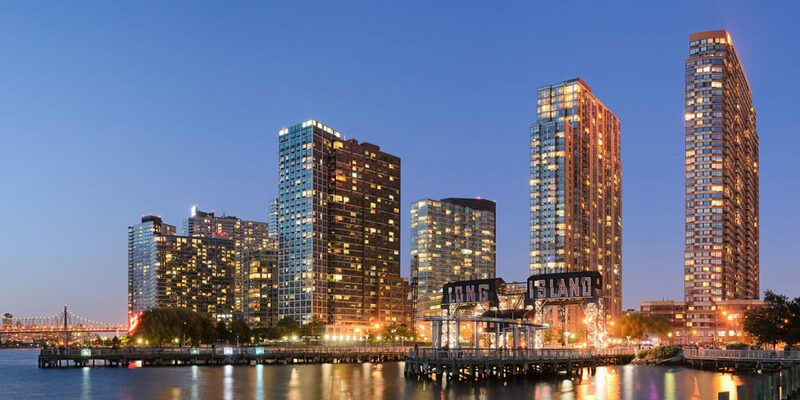 If you’re looking to invest in real estate in Long Island City, now is the time- preferably sooner rather than later. If you are interested in buying or selling a home in the Amazon HQ2 neighborhood of Long Island City, please contact Poulos LoPiccolo at 646-931-0011 or [email protected] for more information.